Explore Ourea, a beautiful world full of terrifying things. Connected to Earth via portals called lichgates, Ourea is brimming with terrifying creatures, powerful magical races, and whimsical landscapes that will steal your breath away. From past to present, explore and enjoy the mythical world of spells, immortality, and betrayal. 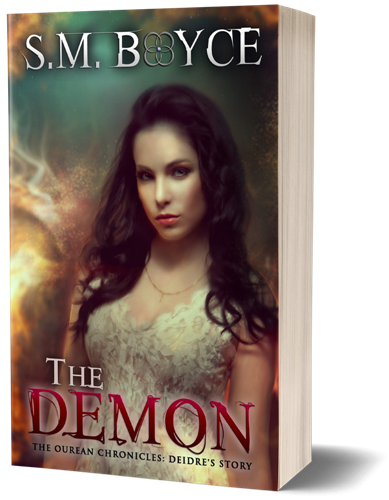 Listen to the music that inspired S. M. Boyce to write the epic fantasy adventure The Grimoire Saga! Experience the haunting world of Ourea from the beginning as Kara Magari uncovers a secret door in the middle of the forest—a portal that transports her to Ourea, the hidden world full of terrifying things. This epic series challenges traditional notions of good and evil, pits monsters against each other, unravels the secrets of magic, and showcases the power buried within us all. 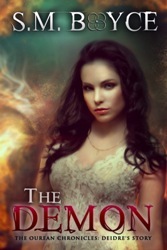 From betrayal to seduction, romance to murder—the Grimoire Saga has something for everyone. When Kara Magari uncovers an ancient book of dark and deadly magic, she realizes she’s the only one who can read its enchanted pages… and overnight, she becomes the most coveted magical creature in not just one, but two worlds. Now hunted by every living creature under the sun, she discovers a new world full of beautiful and terrifying things: Ourea. Out here, everyone wants something from her, and there’s no one she can trust. Kings and queens are drawn to her, assassins and demons seek her out, but it’s the charming soldier with a protective streak and a dark secret that may just be her undoing. Before this is over, Kara will have to make the ultimate choice… either she surrenders to this dangerous book of magic, heart and soul, or it will be the death of her. Buckle in & experience the beginning of a timeless epic fantasy adventure with this first installment of the Grimoire Saga. 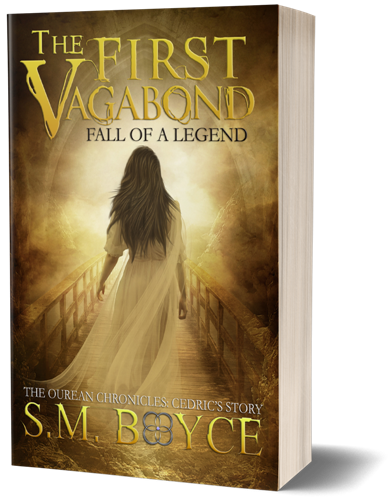 If you enjoy Lord of the Rings, The Wheel of Time, or Eragon, you’ll love this breathtaking epic fantasy adventure with a modern twist and a slow burn romance. NEW 5th EDITION with never-before-read scenes and chapters from your favorite bad guys. Completely re-edited and revised for a smoother, more vivid reading experience. Kara Magari ignited a war when she stumbled into Ourea and found the Grimoire: a powerful artifact filled with secrets. To protect the one person she has left, she strikes a deal that compromises everything she believes in… and things don’t go as planned. Kara Magari isn’t normal, even by Ourea’s standards—and in a world of shape-shifters and soul stealers, that’s saying something. To the royalty, she’s a loose cannon. To the masses, she’s a failure. But Kara doesn’t have a home to go back to anymore. This war-torn world is all she has left, and she’ll save it even if she dies trying. An ancient isen named Stone takes an interest in Kara’s training, and it turns out he has more answers than he originally led her to believe. In an effort to unearth a secret that might end the bloodshed, Kara instead discovers an ugly truth about her family—and how much she has in common with one of the most evil men in Ourean history. Braeden Drakonin has slowly rebuilt his life after the betrayal that tore it apart. His father wants him dead, and frankly, his so-called allies wouldn’t mind that either. Private alliances are formed. Secrets are sold. Tension is driving the armies apart. A single battle will end this war, and it’s coming. 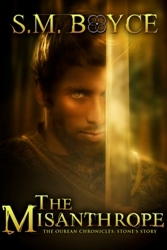 Braeden may be a prince, but it will take more than royal blood to survive. He must take the fight to his father’s door—and win. The final chapter in the war for Ourea ends with blood. Kara Magari is an icon. A hero. The people love her. The royalty tolerates her. She has everything—an army, allies, and a close circle of chosen family. They believe she will end the war, and they shouldn’t. She’s as scared as they are. She just can’t show it. The war she accidentally started ends with a final battle that will either save or enslave her people. She will do anything to win—until she learns the cost of victory. 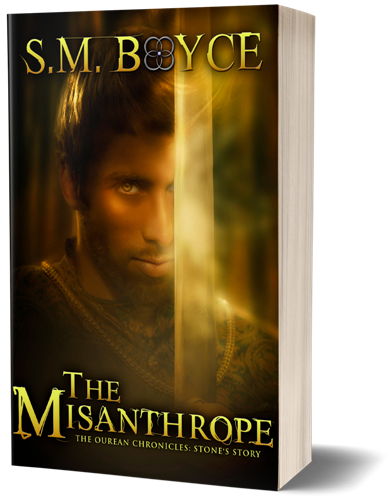 Braeden Drakonin is afraid of what he’ll become when he takes over his father’s kingdom—that much authority can change a man. But his father has already tried to kill him more than once, and it’s time to end his reign. Braeden’s armies are ready. His strategy is foolproof. His generals are waiting for the order to attack. It’s only in the final seconds before the battle begins that he realizes he missed one crucial detail—the traitor. Unlock the dark beginnings of Ourea’s most famous political players in this Grimoire Saga origins series. Delve deep into Ourea’s history with these one-of-a-kind, standalone novels following Stone, Cedric, and — of course — the woman everyone loves to hate: Deidre. Before Stone trained Kara Magari or taught the First Vagabond to master the Blood loyalty, he was nothing more than a slave boy named Terric. Terric is a curious loner hellbent on reading his master’s forbidden books. When one heist goes wrong, Terric abandons his old life and runs for freedom—only to fall prey to a ruthless man named Niccoli. Niccoli is an isen—a creature of magic from the hidden world of Ourea—and he awakens within Terric an unimaginable gift. But this gift comes with a catch. Suddenly in control of newfound power he is forbidden to freely use, Terric realizes too late he simply traded one master for another. In Ourea, a world dominated by the gifted, few isen dare defy their masters. Until now. Ourean legends of the First Vagabond have survived a thousand years, blossoming in pubs and alleys even as the great Bloods of Ourea tried to squelch his name. But the myths glorify the deeds and forget the man he was—Cedric, a boy from a small Hillsidian farming village. As a young man, Cedric discovers a terrifying defect in his nature. He has no blood loyalty, which means he can defy his king—something that has never happened in recorded history. But what begins as a flaw evolves into a strength. Citizens begin to listen to Cedric, and he discovers that if he leads, others will follow. But there’s a catch. The more who follow him, the more famous he becomes. And the more famous he becomes, the more targets he finds pinned to his back. He’s a wanted man. A traitor. 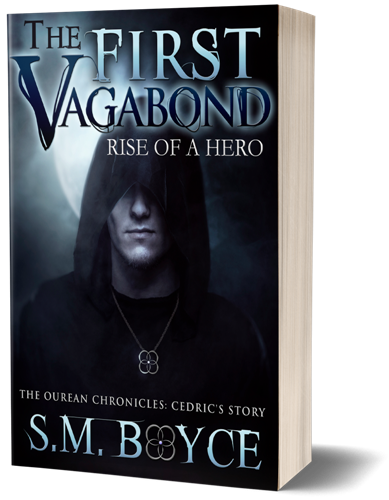 And as Cedric begins to embrace the title he’s been given — the Vagabond, the only man alive with no master — he ignites a revolution. After all, no one has defied a Blood and lived to tell the tale. No one, that is, but Cedric. Cedric is a hero to the people of Ourea, and a threat to its rulers. Word has traveled about his gifts, about the freedom he can bring the people of Ourea. Strangers know his name. With each passing day, he grows more powerful. And there are many who would like nothing more than to take everything from him. What begins as a bid for change in a world controlled by tradition becomes a mudslide as Cedric’s cause falls apart at the seams. And after a betrayal that destroys his faith in the only family he’s ever known, Cedric is forced to decide between those he leads and those he loves. Deidre wasn’t always an isen, but she has always been hated. In 1814, Deidre is a Southern Belle, born to wealth and a father who loathes her. Townsfolk call her beautiful and clever. A young man named Michael calls her the love of his life. But her father calls her a demon. Deidre has lived her life with blackouts—moments of evil she can’t control or remember. She hates herself enough as it is, but her life snowballs out of control when a foreigner named Niccoli comes to town. In one heartbreaking night, she loses everything—including Michael. And it’s Niccoli’s fault. That night, Deidre becomes immortal. Powerful. Vengeful. But her grief festers. As she learns the truth about her blackouts, she begins to lose the last threads of who she was. And as long as she kills Niccoli for taking Michael from her, she’s okay with that.